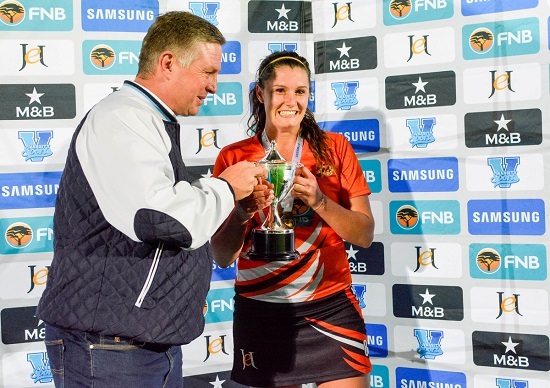 The Varsity Sports Hockey season has come to a stunning end after the University of Johannesburg (UJ) emerged victorious in the final of the Varsity Cup final with a 3-0 win over the University of Free State (Kosvies). It means that UJ now hold both the Men’s tournament, which they won on a shoot out against Maties last year, and the Women’s title. Incredibly it was the only defeat that Kosvies tasted in the whole season, which will be a bitter pill to swallow for the team from Free State. Both teams were laden with a host of international players and the game started in a tentative manner. Kosvies were the dominant force but were unable to break through the stubborn defence of UJ. Izelle Latgan hit the post but thats the closest they would get. 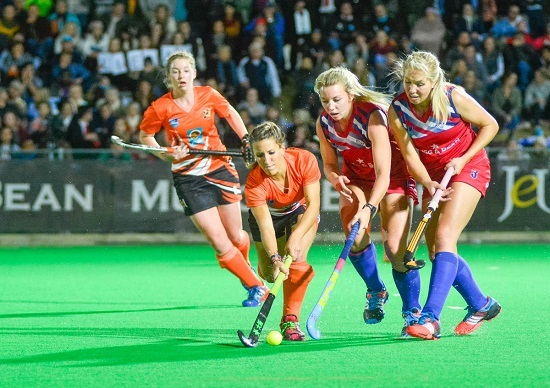 UJ started to claw their way back into the game but saw Lilian du Plessis’s penalty corner charged down by the ladies whose Twitter profile features du Plessis’s photo, Nicole Walraven. Walraven was underlining her national credentials with an outstanding defensive display, something that had been apparent throughout the tournament and the Kosvies goalkeeper kept it level with an incredible save. But Lilian du Plessis, the South African star who plays hockey in Belgium, was proving to be the difference and produced an outstanding drive that was prodded home. Kosvies may have had the better game, but UJ led. Du Plessis then doubled the lead with just ten minutes remaining to give UJ one hand on the cup. Kosvies launched an all out assault but inevitably the UJ team would play on the break and after withstanding heavy pressure scored the final tournament sealing third through captain fantastic Kaila Fleming. And as the minutes ticked down it was apparent that UJ had sealed the title and completed the unlikely double of mens and womens tournament. The more impressive factor was that thanks to the incredible work of Varsity Sports, the hockey starved community of South Africa. South African hockey will look towards Varsity hockey as the future of the sport, on the evidence of this years series, the future is remarkably bright.